Almost everyone we know who suffers from breakouts or oily skin is just plain terrified of moisturiser. The thinking: it'll clog skin, leading to more spots and eruptions. 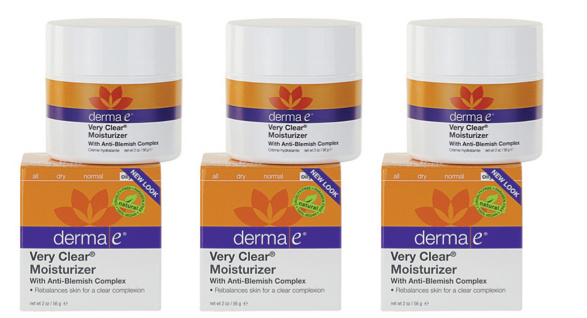 In fact, a good moisturiser works to rebalance skin, calm it down – and can help reduce the number of breakouts. And on that basis, this is a very good moisturiser indeed – ideal for problem skins, combination complexions and those prone to shine. Featuring a combination of natural anti-blemish ingredients including rosewood lavender, chamomile, tea tree and willow bark, it's both antibacterial and antiseptic – yet really pleasant to use. Lightweight – yet 'skin-quenching', we'd call it. The result? A clearer complexion – and skin that's healthier, because moisture is absolutely essential for healthy cellular communication. Meaning it's definitely time to come out from behind the sofa.